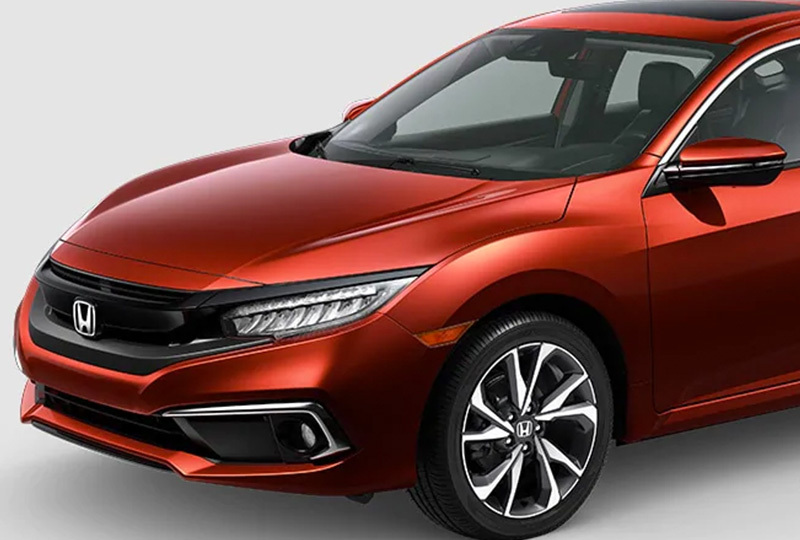 The 2019 Honda Civic for sale at Renaldo Honda in Shelby, NC, near Gastonia, NC and Gaffney, SC, brings all the convenience you need in an everyday commuter. Premium features like the Bluetooth® hands-free phone system, a 5-inch color LCD screen, and optional Apple CarPlay® and Android Auto™ allow you to stay connected to the world from the comfort of your own vehicle. When you’d rather not stay in touch, you can get lost in the music while listening to the 180-watt audio system with 8 speakers. Speed-sensitive volume control has your back if you forget to turn it down while driving through the neighborhood. Wherever you drive, you’ll have ample room for storage when using the fold-down rear seatbacks that are available in a 60/40 split. If you need to leave something inside the car, the security system with remote entry and trunk release gives you added peace of mind. 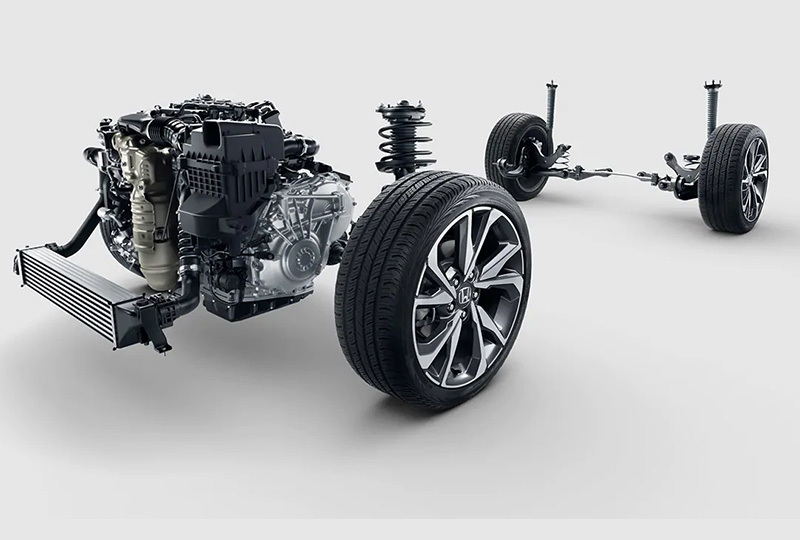 All of this is powered by a 2.0L In-Line 4-cylinder engine with 158 horsepower and a 6-speed manual transmission. They bring an impressive 25 mpg in the city and 36 mpg on the highway, which is sure to please both you and your bank account. When it does come time to hit the gas station, the push-to-release fuel filler door and capless fuel filler are always handy. There’s never been a better time to purchase a new Honda. 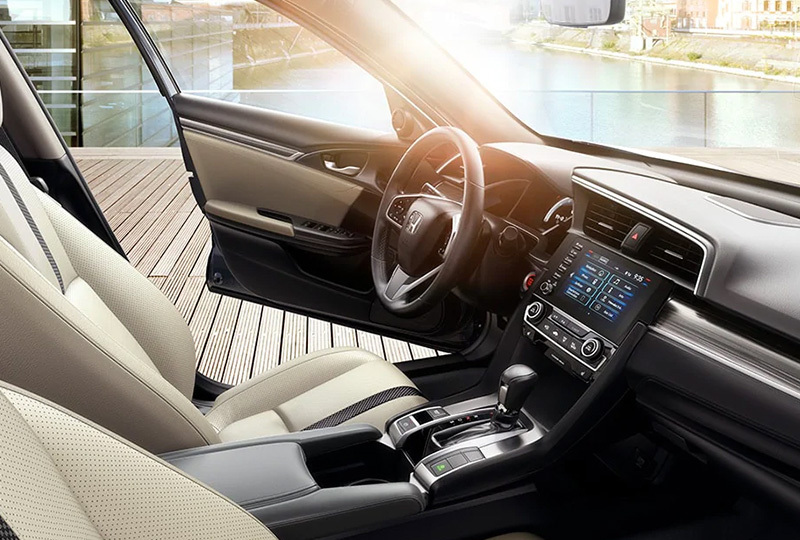 Stop by Renaldo Honda, located at 4421 East Dixon Blvd in Shelby, NC, to take a test drive and head home in your brand-new 2019 Honda Civic! The 2019 Civic Sedan features aggressive lines and refined features that make it stand out from the crowd. 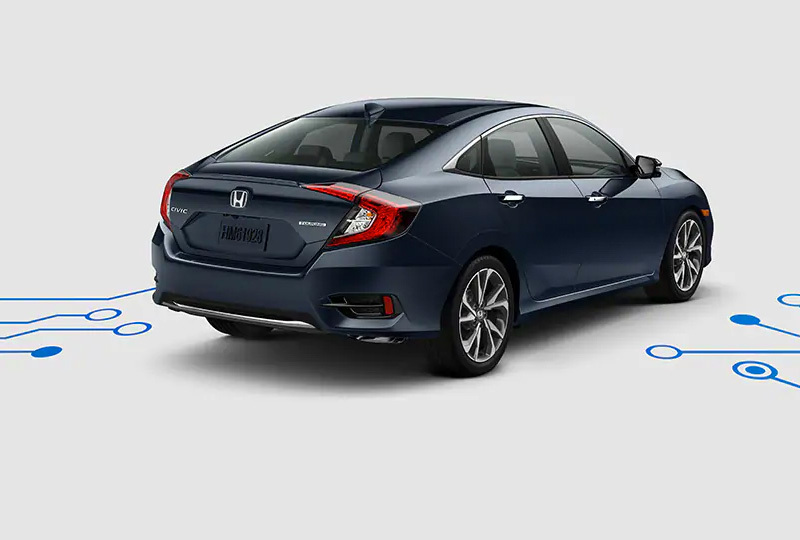 The Civic Sedan is packed with cutting-edge technology that amplifies your awareness on the road and helps you power up for the destination ahead. †The system wirelessly charges one PMA- or Qi-compatible mobile device. Some phones have built-in wireless charging technology and others require a special adapter/back cover. *Leather-trimmed seats standard on EX-L and Touring. Leather-wrapped steering wheel and shift knob standard on Sport and above.